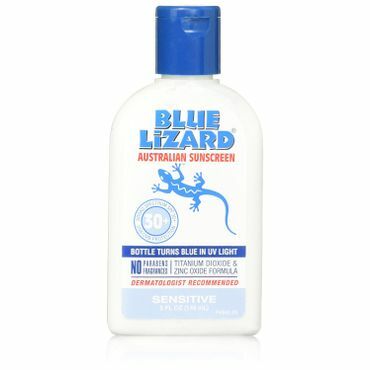 Bottom Line Natural-sunscreen enthusiasts swear by Blue Lizard Australian Sunscreen SPF 30+ Sensitive. The paraben- and fragrance-free formula uses zinc oxide and titanium dioxide, to reflect the sun's rays. Ingredient-wise, this is one of the safest sunscreens you can buy.